After a long winter like this one, when there’s a sunny warm day, I am driven to distraction by my urge to eat and drink outside. Luckily, that distraction led me to some really delicious cocktails that would be perfect for sipping outside this spring. Boil water and take it off the burner. Add the tea bags and brew for about 5 minutes. Pull the bags out and add the ¼ cup maple syrup, the whiskey and citrus juices. Add more syrup for a southern sweet tea version. 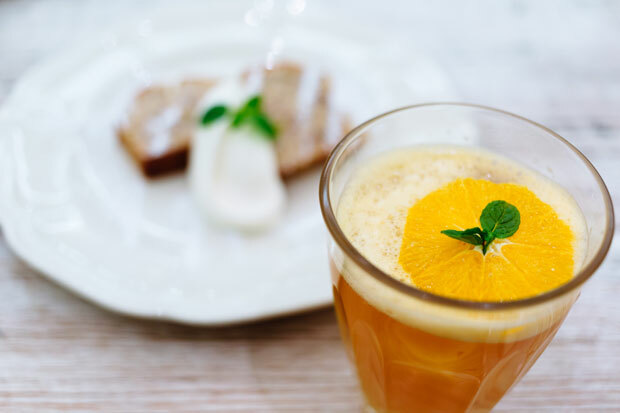 Let the tea cool in the fridge, serve with ice and slices of oranges and lemons. I’m not sure if this counts as a drink but it’s boozy and refreshing so it meets my criteria. Peel and cut up the mango, or just buy pre-cut. Combine rum and sugar in a bowl and stir until sugar dissolves. Pour in coconut milk and whisk until well combined. Mix in mango and spoon into popsicle molds, making sure mango is evenly distributed. Freeze and enjoy! 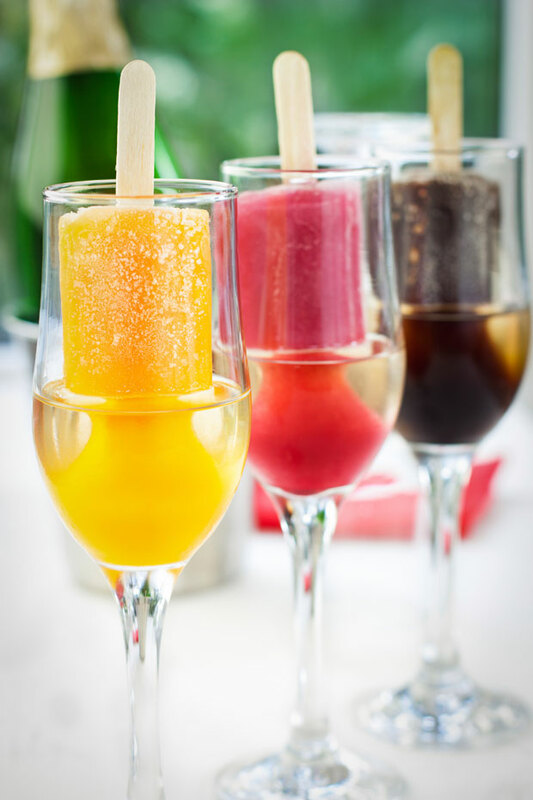 For a variation, put popsicles in 1/4 filled glasses of chilled champagne so you don’t have to worry about melting. Fill a cocktail shaker with ice. Add the gin, Lavender-Sage Vermouth, lemon juice and honey and shake well. Never substitute artificial lemon juice in a cocktail, it really can ruin a drink. Strain your mix into a chilled, ice-filled glass. Stir in the club soda. Never add the soda to the shaker. I forget this all the time and it makes a huge mess. Lastly, garnish with the sage sprig.